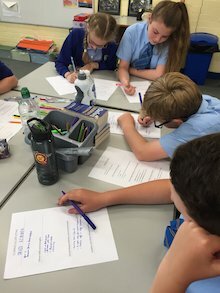 Winner of the Book Fair Takeover School of the Year Award 16/17, Laura Comerford, from Broadoak School in Manchester writes about her experience of running the project and allowing her Year 6 class to take over their Scholastic Book Fair. My Year Six class and I absolutely loved taking over our Scholastic Book Fair. 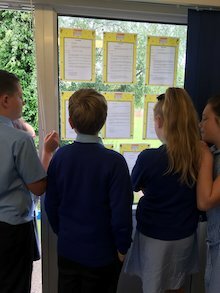 From the moment the job advertisements appeared in Year 6, there was a buzz of excitement in the air about the children taking over the Book Fair. The children wrote their own CV’s and then applied for the jobs which they felt fitted their individual strengths. For example, some children chose to apply for a creative role, such as ‘Advertising Specialist’ whilst some children, who particularly enjoy maths, chose to apply for the role of ‘Accountant’. There was a role to suit every interest and ability and the children had great fun applying and then interviewing for their new jobs. In addition, this process equipped the children with invaluable life skills. 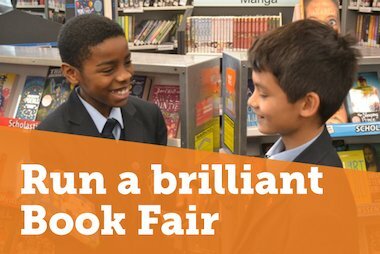 Prior to the Fair, the Advertising Specialists spread the word by running a Book Fair Competition, open to all children from Nursery to Year 5. The winners chose a book each from the book fair. Year 6 also visited each class and presented ‘recommended books’ which were available at the Book Fair and read extracts to the children – this was something they particularly enjoyed. During the Book Fair, the Browsing Supervisors liaised with the parents and children; recommending books or helping them find a book they were looking for. They took orders and were also responsible for setting up and closing down the book fair each day. 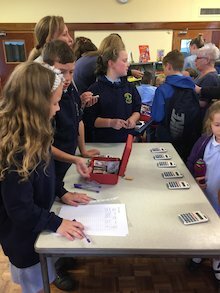 Importantly, they handled the money and were responsible for charging and giving change and our Head Teacher was more than a little anxious about this on the first day of the Book Fair! However, she soon saw how mature, polite and meticulous the children were – when asking for money and giving change to parents – and she happily took a step back and let the children who had been appointed Book Fair Managers run the Fair and organise their team. Our Book Fair was a huge success and during Book Fair week, there was a real buzz of excitement in the air and the love for reading was clear to see. 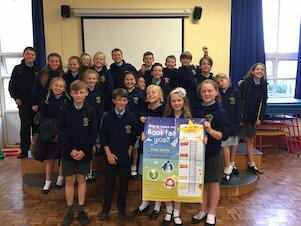 The children set a target of £700 which they exceeded with a final total of £1100! They were so pleased with this and they loved every single minute of organising and running their book fair. I would certainly recommend to any teacher to allow your class or school to take over your Book Fair as it was such an enjoyable, fun and worthwhile process. Give your children a chance to run the Book Fair, you’ll be amazed at all they achieve. 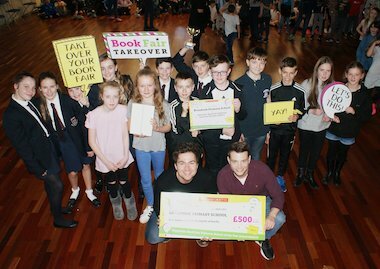 For her Takeover Team’s dedication, hard work and enthusiasm that went into planning and running their Book Fair, Laura’s school, Broadoak Primary, won £500 worth of children’s books for their library and classrooms, an engraved trophy, an iPad, a certificate and a book signing and special assembly with BAFTA-winning TV presenters and authors, Sam & Mark. 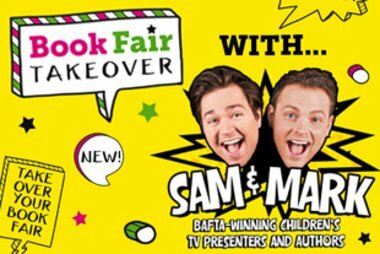 To find out how your school could win these amazing prizes for the 2017-18 year, you can visit the Book Fair Takeover website to find out more.